Here's a commission I painted a year or two ago for the mighty Mr. Reid, a fellow with an impressive collection of artwork to say the least. This is a rather large piece at about 14" x 20", painted in acrylic on illustration board. 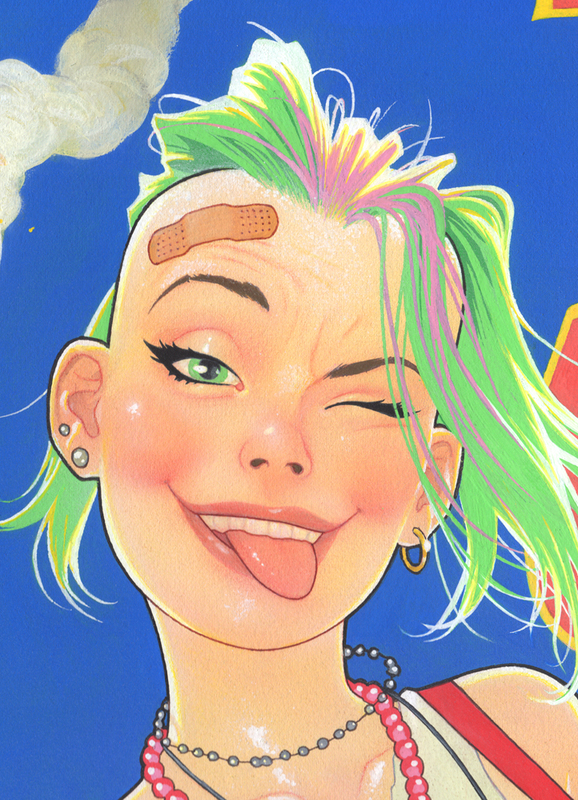 Needless to say, TANK GIRL begins and ends with Hewlett, but she was a fun subject to paint- it's not often I'm reaching for pinks and greens like that!